The circus is about to begin inside the Big Top. All it needs is you! Grab your wooden stylus and scratch away the white outlines of colorful clowns, enormous elephants, playful pups, and amazing acrobats. 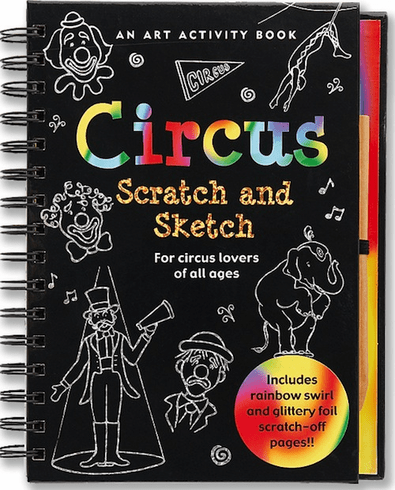 Your favorite circus friends and scenes come to life in rainbow swirl or glittery foil! Kids 5 and up will love this ScratchÊand Sketch!